sandisk ultra is no good, sandisk extreme is OK.
Great for cameras etc. here’s a little bit of spec. A SanDisk Extreme Pro SD card has read speed of 95 MB/s and a write speed of 90 MB/s. 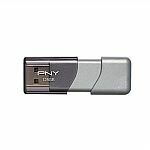 The SanDisk Ultra SD has a read speed of 80MB/s and the write speed is specified as "10MB/s minimum. Super hot..I mean it runs super hot. Amazonon Micro Center only sales 12.99, what a great deal! Thanks. Got one. //@Anonymous: Amazonon Micro Center only sales 12.99, what a great deal! 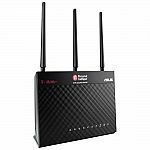 (Back) T-Mobile has T-Mobile Wi-Fi CellSpot Router - Certified Pre-Owned for $39.99 with code "CPOROUT". Shipping is free. This looks exactly like a ASUS RT-AC66U? It is available on line now, you'd better clean your browser. //@Anonymous: How stup1d? This is a few days old deal, out of stock since then.. What’s the point in posting it today? Have had one for two weeks and worked better than the more expensive Asus 86u.Just ordered another one as backup. You will become free hotspot for tmobile if you use it. flush it and you'll be fine //@Anonymous: You will become free hotspot for tmobile if you use it. Shows you have no idea what you are talking about. You manage it by MAC address or SIM card number. Allow only the devices you want to connect //@Anonymous: You will become free hotspot for tmobile if you use it. I flash them to official asus firmware. //@Anonymous: You will become free hotspot for tmobile if you use it. Watch for ‘No Returns or Exchanges’. It will not work with airmesh - have tried it after flashing it Asus firmware. Read before u buy..
but otherwise a great router ... //@anonymous: Great for AiMesh setup. Nothing rewarded. Just dropped off a printer. The customer service has an attitude. You went too early! //@Anonymous: Nothing rewarded. Just dropped off a printer. The customer service has an attitude. Amazon has SanDisk Ultra USB 3.1 Flash Drive on sale. Shipping is free. every day price at best buy. Just a couple of weeks ago, they (Amazon) DID have a deal on this same 256G thumb for $34.99. I missed it. I can wait until it comes back. This still seems a pretty good deal, however, if you need this capacity. I'd not seen them at this pricepoint for this size previously. 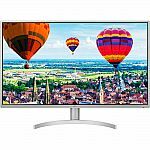 Lenovo via Rakuten has select Lenovo Monitor on sale. Shipping is free. Amazon / Walmart has Intel Core i9-9900K Desktop Processor 8 Cores up to 5.0 GHz Turbo Unlocked LGA1151 300 Series 95W for $489.99. Shipping is free. Woah! Not too shabby. By the way, is this compatible with my HP Touchpad? Should wait until AMD new CPU that coming out in 2 or 3 months, the i9 will have a deep cut in price. I was going to ask the same question. This is amazing. I thought I was the only HP Touchpad user left! //@anonymous: Woah! Not too shabby. By the way, is this compatible with my HP Touchpad? Agreed! //@Anonymous: Should wait until AMD new CPU that coming out in 2 or 3 months, the i9 will have a deep cut in price. 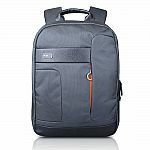 (Site working now) Rakuten has select bags on sale. Shipping is free. You've stumbled on a page that cannot be viewed. Not a deal, thats regular price. Amazon.com has AmazonBasics Ergonomic Wireless Mouse w/ Adjustable DPI on Sale. Shipping is free on $25+ or Free shipping w/ Prime (30-Day Free Trial). Right! Good question. //@anonymous: for lefties? 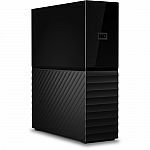 Amazon /BHPhotoVideo has WD 8TB My Book Desktop USB 3.0 External Hard Drive for $126.99. Shipping is free. Amazon has TP-Link AC1750 Smart Dual Band Gigabit WiFi Router for $57 - $10 (clip coupon under price) = $47. Shipping is free. 8ms and only 75hz. 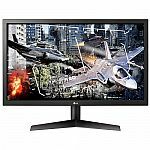 You can find comparable monitors for $200 and under all day long. Not with 2560x1440 resolution. //@anonymous: 8ms and only 75hz. 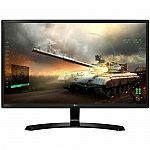 You can find comparable monitors for $200 and under all day long. T-Mobile has T-Mobile Wi-Fi CellSpot Dual-Band AC1900 Gigabit Router (Certified Pre-Owned) for $49.99 - $10 with promo code "CPOROUT" = $39.99. Shipping is free. 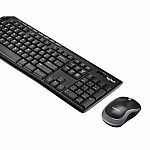 Walmart has Logitech Wireless Keyboard and Mouse Combo for $14.88. Shipping is free with $35 purchase or free in-store pickup. Logitech wireless mouse is fine, but the wireless combo is bad. Amazon.com has TP-LINK AC3200 Tri-Band Wireless Gigabit Wi-Fi Router (Archer C3200) for $99.99. Shipping is free. (Today Only) Woot has Kodak 480GB Internal Solid State Drive for $39.99. Shipping is free with Prime (30-Day Free Trial). When did Kodak started making SSD? They are Crucial brand with Kodak labels. //@Anonymous: When did Kodak started making SSD? isn't kodak bankrupt? //@Anonymous: When did Kodak started making SSD? Since when Kodak start making labels for SSD? That was long time ago. Now Kodak licenses its brand to everyone. //@Anonymous: isn't kodak bankrupt? //@Anonymous: When did Kodak started making SSD? 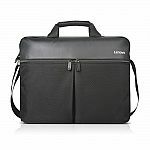 Lenovo has select backpacks on sale. Shipping is free. Amazon / Best Buy eBay / Best Buy has WD - My Passport SSD 512GB External USB 3.1 Gen 2 Portable Solid State Drive with Hardware Encryption for $79.99. Shipping is free. Where can I buy a radiator to cool this down during long file transfers? Amazon has Kasa Smart Plug, 2-Outlets by TP-Link for $24.99 with code "10KASA". Shipping is free. Amazon has Toshiba portable hard drives on sale. Shipping is free. Today only. 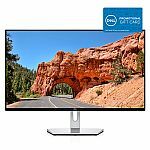 Bestbuy via eBay / Best Buy / Amazon has Dell D3218HN 32" IPS LED FHD Monitor for $164.99. Shipping is free. 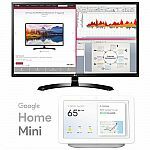 According to Camel^3 price history, the average price of this monitor is $167.71 over the last 2 years, and it was $150 a month ago. thanks, that was helpful. //@Anonymous: According to Camel^3 price history, the average price of this monitor is $167.71 over the last 2 years, and it was $150 a month ago. I got one for like 130 last Thanksgiving. FHD is way too for any larger monitor. Even not good for a 27 inch one, let alone this 32 inch one. //@Anonymous: I got one for like 130 last Thanksgiving. Amazon has Logitech PC Gaming Up to 55% Off. Shipping is free with prime or free with $25 purchase. Amazon has Logitech 910-004360 G300s Optical Ambidextrous Gaming Mouse – 9 Programmable Buttons, Onboard Memory for $14.99. Shipping is free with Prime (30-Day Free Trial).